Commercial banks are one of the key contributors in the economy of developing countries. They act as financial intermediaries by performing the function of mobilizing the funds from one group and lending the same to another while making a reasonable amount of profit after meeting the cost of fund. People and the government itself are very much dependent on the services provided by the 48 banks in the financial market. To know how well commercial banks perform actually, a case study on Panthapath Branch of Standard Bank Ltd. is being taken. Standard Bank Limited has started its journey as a private commercial bank on August 3, 1999.The whole working process of Principal Branch, Standard Bank Ltd is divided into 3 sections- (I) General Banking section, (ii) Credit Section, (iii) Foreign Exchange Section. This report has been presented based on observation from each section, which is consisted of various departments. But Import Export and Remittance Management Department was the main focus of my study work. The objective of this report is to obtain a clear over view of Standard Bank Ltd and the main objective of this report is to focus on the foreign exchange management of and how it is being carried out and evaluation of foreign exchange management tools for better effectiveness. In this report I have tried to analyze such as- Trend analysis, Ratio analysis, Evaluation of foreign exchange department of Standard Bank Ltd.
Standard Bank remittance business is poor compare to import and export. Foreign exchange operations of other banks are dynamic and less time consuming. Standard Bank should take some initiatives to compete with those banks. The bank should provide more intensives to their customers for opening L/C. Import Export and Remittance Management department plays significant roles through providing different services for the customers. Letters of credit is the key player in the foreign exchange business. With the globalization of economies, international trade has become quite competitive. Timely payment for exports and quicker delivery of goods is, therefore, a pre-requisite for successful international trade operations. To ensure this purpose Standard Bank Ltd transmits L/C through SWIFT (Society for Worldwide Inter bank Financial Telecommunication) to the advising bank. Foreign exchange department of Standard Bank provides incentives to their customers while LC for the loyal customer the bear 60% of the total amount. Top management of this is assigned adequate power to monitor the foreign exchange operation at the branch level. Standard Bank returns on foreign exchange department increasing year by year. Standard Bank- should develop and modernized their service and operation facility to sustain in competitive banking situation bank- internal control and compliance should be improve and bank should give adequate power to the assigning person of this area so that they will do their job effetely. As the export import bank the practice of foreign exchange management is mandatory. Banks play an important role in the business sector and industrialization of a country. Basically bank take deposit from the customers against interest and lend it to the borrower’s interest for a certain period. Under this sphere, the bank offers different interest notes and other options to there customers to remit and deposit there money. Most of the common between the banks, only the customer service and other facilities vary. It has become essential for every person to have some idea on the bank and banking procedure. By an internship program in bank, students can obtain practical knowledge, which helps to know real life situations, helping them to launch a career with some practical experience. I work as an Intern in the Standard Bank, Panthapath Branch, for studying only 3 months. After study I have to make a Report. 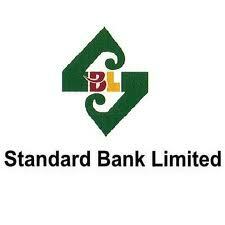 The report covers the Bank’s Import Export and Remittance Management of Standard Bank Limited. So, the report covers “Import Export and Remittance Management of Standard Bank Limited”. In the backdrop of economic liberalization and financial sector reforms, a group of highly successful local entrepreneurs conceived an idea of floating a commercial bank with different outlook. For them, it was competence, excellence and consistent delivery of reliable service with superior value products. Accordingly, Standard Bank Limited started commercial banking operations effective from June 03, 1999.The sponsors are reputed personalities in the field of trade and commerce. This report gives a narrative overview of the Standard Bank Limited and its Import Export and Remittance Management. This report does explain the nature and objective of the Import Export and Remittance Management; this will fulfill the needs of the report. As a fully licensed commercial bank, Standard Bank Limited is being managed by a highly professional and dedicated team with long experience in banking. They constantly focus on understanding and anticipating customer needs. As the banking scenario undergoes changes so is the bank and it repositions itself in the changed market condition. However, since the financial information is classified and sensitive in nature, so that I tried to construct this report with the help of available information. Knowledge and learning become perfect when it is associated with theory and practice. Theoretical knowledge gets its perfection with practical application. As our educational system predominantly text based, inclusion of practical orientation program, as an academic component is as exception to the norm. This Internship Report is an important partial requirement of MBA program. As the parties; educational institution and the organization substantially benefit from such a program, it seems a “win-win situation”. That’s why practical orientation is a positive development in professional area. Recognizing the importance of practical experience, Department of Finance of BangladeshUniversity of Business & Technology has introduced a three months practical exposure as a part of the curriculum of MBA program. In such state of affairs the present aiming at analyzing the experience of practical orientation related to an appraisal of Standard Bank LTD.
During these three months internship program in Standard Bank Limited, Panthapath Brach, almost all the desks have been observed. For that purpose I needed to get information from Standard Bank Head Office. But I was appointed into Standard Bank, Panthapath branch. There I had to work in Foreign Exchange, department desk as a routine work. It was difficult to collect the information relevant my report, because the people of this Bank was so busy with their duty that they cannot be able to give me much time. Here I try to cover the Import Export and Remittance management activities and rules and regulation of the Standard Bank Limited. • To gather knowledge about the transaction of different department of the branch especially foreign exchange department. • To study the Import finance performance of the Bank. • To study the Export finance performance of the Bank. • To study the Remittance performance of the Bank. • To identify the problem of Foreign Exchange and management of Standard Bank Limited. • The general objective of this report is to fulfill the requirement of internship report to acquire practical experience in different banking services of Standard Bank Limited. The study requires a systematic procedure from selection of the topic to preparation of the final report. To perform the study, the data sources were to be identified and collected, to be classified, analyzed, interpreted and presented in a systematic manner and key points were to be found out. This is an “Exploratory Research” which briefly reveals the over all activities of the Standard Bank Limited and also cortically analyzes the “Foreign Exchange Management” activities/ procedures of this bank. To prepare this report all the necessary information are collected from both primary and secondary sources of data. For preparing this report I have got information from web site of the Standard Bank and IBBL ltd. I have presented my experience and finding by using different charts and tables. The quantitative analysis (such as ratio analysis) has been used to analyze the gathered data and deferent types of computer soft wares are used for reporting the gathered information from the analysis, such as- MS Word, MS Excel and MS Power Point. The main constraint of the study is insufficiency of information, which was required for the study. There are various information the bank employee can’t provide due to security and other corporate obligations. I can’t present the recent data relating to Import Export and Remittance Business. Because the annual report and the financial statement are published at the month of September every year. So for the annual and financial statement are not yet published during the time conducting this study. The very recent data relating the import, export, remittance business could not report use. Time provide for conducting the study is another important constraint. Background of Standard Bank Ltd.
Standard Bank Limited was incorporated in Bangladesh on June 3, 1999 as a banking company under the companies Act 1994. The Bank converted its banking operation into Islamic Shariah from traditional banking operation on 1st July 2004 after obtaining approval from Bangladesh bank. Standard Bank went for public for issuing shares in the year 2004. Though this bank started its business in 1999 but its growth rate was 40.68 % in 2004 and till 2007 it has grown over 200 % from 2004. The bank has increased its branches to 40 at present and a huge number of customers are getting services from them each day. That indicated that Shariah banking has an effect on the growth of the bank. Within an operative period as short as six years, the bank has arrived at a strong financial and business position by expanding its market share compared to its contemporaries and to some extent to the 2nd even 1st generation banks of private sector. In addition, the Bank has also made a significant contribution to the national economy under the prudent leadership and untiring support of the member of the Board of Directors, who are leading business personalities and reputed industrialists of the country. The gist of our vision is ‘Together towards Tomorrow’. Standard Bank Limited, as the name implies, is not a type of Bank in some countries on the globe, but is the first of its kind in Bangladesh. It believes in togetherness with its customers, in its march on the road to growth and progress with services. To achieve the desired goal, there will be pursuit of excellence at all stages with a climate of continuous improvement, because, in Standard Bank, we believe, the line of excellence is never ending. Bank’s strategic plans and networking will strengthen its competitive edge over others in rapidly changing competitive environments. Its personalized quality services to the customers with the trend of constant improvement will be cornerstone to achieve our Operational success. To ensure ethics and transparency in all level. The total management structure of Standard Bank is given below. Above we have the management structure of the total banking system of Standard Bank. The functional structure of the hierarchy is different and I have done my intern in the Panthapath branch of the bank. It is not an assigned foreign exchange branch but it works via the main branch in Panthapath. Its total operation is not that big compare to other branches. Below we have the organizational structure of the branch. STANDARD BANK LIMITED carries out all traditional functions, which a commercial Bank performs such as Mobilization of deposit, disbursement of loan, investment of funds, financing export & import business, trade & commerce & so on. Besides it also offers some specialized services to its customers. Products & services offered by STANDARD BANK can be categorized according to the customers they serve. Thus two major groups can be identified. They are individual customers or consumers & corporate customers or organizations. An in-depth analysis of STANDARD Bank’s product and services in Bangladesh is presented in this section. First of all, the liability products of the bank are discussed. Then, the various products and services of personal banking division will be presented. The summary of all the products and services of STANDARD BANK LIMITED is displayed in the following page with the help of a diagram. From the viewpoint of Islamic Shariah, in order to be justified islamically Standard Bank’s banking system has to avoid interest. Consequently, financial intermediation in Islamic banking between the bank and the client takes place as a partner rather than a debtor-creditor. The financial activities of modern conventional banks are based on a creditor-debtor relationship between depositors and bank on the one hand and between the borrower and the bank on the other. Interest is regarded by conventional banks as the price of credit reflecting the opportunity cost of money. As interest is prohibited in Islam, commercial banking in an Islamic framework could not be based on the creditor-debtor relationship. The other aspect of the theoretical basis of Islamic banking is that the interest free bank is not risk free. This principle is applicable to two main factors of production, i.e. labor and capital. According to this principle, as no payment is allowed to labor, unless it is applied to work, no reward for capital should be allowed, unless it is exposed to business risk. Based on the theoretical background, business practices of Islamic bank, especially sources and uses of bank’s funds, are characterized by the following modes or techniques. a. Savings Accounts: Standard Bank accepts saving deposits from customers under Al-Mudaraba Shariah Principles. In Saving Accounts under the Al-Wadia principle the bank is given an authorization by depositors to use the fund at the bank’s own risk. This type of deposit is almost similar to a ‘Current Account’ or Demand Deposit’ except that the bank guarantees its customer the full return of the deposited fund with any profit voluntarily. iv. Mudaraba Monthly Income Scheme (MMIS) Standard Bank has introduced Mudaraba Monthly Income Scheme (MMIS) for the prudent persons having ready cash and desiring to have fixed income on monthly basis out of it without taking risk of loss and without encashing the principal amount. This scheme offers highest return with zero risk. You can plan your monthly expenditure with the certain monthly income under the scheme. Note: Government tax and other charges, if any are included with the above benefit/figure. v. Mudaraba Monthly Saving Scheme (MMSS): Savings is the best friend in your bad days. Small savings can build up a prosperous future. Savings can meet up any emergencies. STANDARD BANK has introduced Monthly Savings Scheme (MSS) that allows you to save on a monthly basis and get a handsome return upon maturity. If you want to build up a significant savings to carry out your cherished dream, STANDARD BANK MSS is the right solution. vi. Mudaraba Super Saving Scheme (MSSS): Super saving scheme is that in which within six years the deposited amount will be double. vii. Mudaraba Multi Plus Savings Scheme (MMPSS): In multi plus savings scheme the deposited money will be tripled within 10 years. viii. Mudaraba Hajj Prokalpa: In order to smoothen the hajj for their clients Standard Bank has Hajj Prokalpa for 5 to 20 years period. ix. Mudaraba Education Prokalpa: which offers you an opportunity to build up your cherished fund by monthly deposit of small amount at your affordable capacity or initial lump sum deposit to yield handsome amount on a future date to meet the educational expenses? Under this Scheme you have the different attractive options to avail the future benefit i.e. withdrawal of the total amount accumulated in lump sum or withdrawing monthly benefit to meet educational expense keeping the principal amount intact or to withdraw both principal and accumulated profit monthly for a certain period. Bai-Murabaha may be defined as a contract between a Buyer and a Seller under which the Seller sells certain specific goods permissible under Islamic Shariah and the Law of the land to the Buyer at a cost plus agreed profit, payable in cash or in lump sum or by installments on any fixed future date. The profit marked-up may be fixed in lump sum or in percentage of the cost price of the goods. It may be noted here that, in case of Bai-Muajjal and Bai-Murabaha, the Bank is a financier to the client not in the sense that the Bank finances the purchase of goods by the client, rather it is a financier by deferring the receipt of sale price of the goods sold by the Bank to the client. If the Bank does not purchase the goods or does not make any purchase agreement with seller, but only makes payment of any goods directly purchased and received by the client from the seller under Bai-Muajjal / Bai-Murabaha Agreement, that will be a remittance of the amount on behalf of the client, which shall be nothing but a loan to him and any profit on this amount shall be nothing but Interest (Riba). 1. Bai-Murabaha Commercial: Investment for purchase and sale of goods to individual or Firm or Company for trading purpose shall be termed as Bai-Murabaha Commercial. 2. Bai-Murabaha Industrial: Investment to Industrial undertaking in the form of supply of Machineries, Equipments, Raw Materials etc, will be termed as Bai-Murabaha Industrial. 3. Bai-Murabaha Agricultural: Investment to agriculture sector for supply of seeds, fertilizer etc, shall be termed as Bai-Murabaha Agriculture. 4. Bai-Murabaha Import: Investment for Import of goods from abroad shall be termed as Bai-Murabaha Import. It is permissible for the Client to offer an order to purchase by the Bank particular goods describing its specification and committing himself to buy the same from the Bank on Murabaha, i.e., cost plus agreed upon profit. It is permissible to take cash/ collateral security to guarantee the implementation of the promise or to indemnify the damages. It is also permissible to document the debt resulting from Bai-Murabaha by a Guarantor, or a mortgage, or both, like any other debt. Mortgage/Guarantee/ Cash Security may be obtained prior to the signing of the Agreement or at the time of signing the Agreement. After purchase of goods the Bank must bear the risk of goods until those are actually sold and delivered to the Client, i.e., after purchase of the goods by the Bank and before selling of those on Bai-Murabaha to the Client buyer, the Bank shall bear the consequences of any damages or defects, unless there is an agreement with the Client releasing the Bank of the defects. Bai-Muajjal is a contract between the Bank and the client (Seller and Buyer) under which the Bank (Seller) sells to the client (Buyer) certain specified goods (permissible under Shariah and Law of the country), purchased as per order and specification of the client at an agreed price payable within a fixed future date in lump-sum or by fixed installments. Bai-Muajjal Commercial: Investment for purchase and sale of goods to individual or Firm or Company for Trading purpose shall be termed as Bai-Muajjal Commercial. Bai-Muajjal Industrial: Investment to Industrial undertaking in the form of supply of Machineries, Equipments, Raw Materials etc, will be termed as Bai-Muajjal Industrial. Bai-Muajjal Agricultural: Investment to agriculture sector for supply of seeds, fertilizer etc, shall be termed as Bai-Muajjal Agriculture. Bai-Muajjal Import: Investment for Import of goods from abroad shall be termed as Bai-Muajjal Import. Bai-Muajjal … Scheme: Investment under any specific Scheme shall be termed as Bai-Muajjal… Scheme etc. Bank is not bound to declare cost of goods and profit mark-up separately to the client. Spot delivery of the item and payment is deferred. Ownership and possession of the goods is transferred by the Bank to the client before receipt of sale price. Client may offer an order to purchase by the Bank any specified goods and committing himself to buy the same from the Bank on Bai-Muajjal mode. It is permissible to make the promise binding upon the client to purchase from the Bank. That is, he is to either satisfy the promise or to indemnify the damages caused by breaking the promise. Cash/Collateral Security should be obtained to guarantee the implementation of the promise or to indemnify the damages. Mortgage/Guarantee/Cash Security may be obtained before/at the time of signing the agreement. Stock and availability of goods is a pre-condition for Bai-Muajjal agreement. The responsibility of the bank is to purchase the desired goods at the disposal of the client to acquire ownership of the same before signing the Bai-Muajjal Agreement with the client. The price once fixed as per agreement and deferred can not be further increased. Bai-Salam is a contract between a buyer & a seller under which the seller sells in advance the certain commodities/products permissible under Islamic Shariah and the Law of the land, to the buyer at an agreed price payable on execution of the said contract and the commodities/products are delivered as per specification, size, quality, quantity at a future time in a particular place. A commodity/product sold without having the same in existence or possession of the seller. Commodity ready for sale, Bai-Salam is not allowed in Shariah. Generally used to infuse finance so that production is not hindered due to shortage of fund/cash and as such. Industrial and agricultural products are purchased/sold in advance under Bai-Salam. Permissible to obtain collateral security from the seller to secure the investment from any hazards (non supply, partial supply, low quality). Permissible to obtain Mortgage or personal guarantee from a third party before or at the time of signing the agreement. Bai-Salam on a particular commodity/product or on a product of a particular field or farm cannot be effected (Agri. product only). The seller (manufacturer) client may be made agent of the bank to sell the goods delivered to the bank by him and a separate agency agreement is to be executed between the bank and the client (Agent). There must be a contract which will be the principal instrument to govern the advance selling and buying. The agreement should be signed before two witnesses (Surah Al-Baqarah-282). Name, specification, brand, quality, quantity, size etc. of the goods must be specified clearly without any ambiguity. Unit price and total price of the commodity must be fixed and mentioned. Exact time and place of delivery must be specified. Mode of transportation, cost, and other charge, if any, must be specified. The name of party who will bear those costs to be mentioned. Price shall be paid to the seller in full at the time of signing the contract. Delivery of the commodity/product can be made / taken in installment or at a time within the contract period if mentioned in the contract. Quantity of the commodity/product shall be in unequivocal terms. Quantified in weight/number/pieces must be determined. The supplier (client) is bound to repay the price so received in advance if failed to deliver the goods as per specification and also the value of less supplied. Only purchase price of the commodity/product may be mentioned. Buyer Bank shall bear the risk until dispose/delivery of the same to the ultimate buyer. The seller shall remain responsible for maintaining quality, quantity, specification of the commodities/products until making physical/constructive delivery of the same to the buyer. Bai-Salam is impermissible on land lots and real estates. It is impermissible for the buyer of a salam commodity to sell the commodity before receiving of it. Mudaraba may be defined as a contract between two parties under which one party (Bank) supply capital and another party (client) invest his efficiency, labor, experience and necessary business activities. In such a business Bank is called ‘Sahib-Al-Mall’ and the client is called ‘Mudarib’. In Mudaraba both the parties share the profit as per agreed upon ratio and the losses, if any, being borne by the provider of funds. But if the loss is due to breach of trust i.e. misconduct, negligence or violation of the conditions agreed upon by the Mudarib, then the loss is fully borne by the Mudarib. Bank supplies capital as ‘Sahib-Al-Maal’ and the client as the Mudarib invests in business using his/her skill, experience and expertise. Administration and Management is maintained by the Mudarib/Client. Mudaraba agreement may include a clause to the effect that if any partner violates any rules of Mudaraba or any terms & conditions of Mudaraba agreement, the other partner will have the right to impose compensation on the Mudarib as determined by the review Committee of the Bank. The term “Musharaka” have been derived from Arabic words “Shirkat” and “Sharikat”. The word shirkat or sharikat means partnership of sharing. Thus the word “Musharaka” mean a partnership established between two or more partners for purpose of a commercial venture participated both in the capital and management. Where the profit may be shared between the partners as per agreed upon ratio and the loss, if any incurred, is to be borne by the partners as per capital/equity ratio. In case of investment through Bank, “Musharaka” means a partnership between the Bank and the Client for a particular business in which both the Bank and the client provide capital at an agreed upon ratio and manage the business jointly, share the profit as per agreed upon ratio and bear the loss, if any, in proportion to their respective equity. a) Permanent Musharaka: In this type of Musharaka the period for termination of contract is not specified. Thus it is also called continued Musharaka. Though this type of Musharaka is intended to continue up to the dissolution of the enterprise/company, but one can sell his/her share of equity before dissolution. b) Diminishing Musharaka: In this type of Musharaka the share of capital or ownership to the assets/property of the Bank gradually reduces and goes to the account of the Client with the payment of share value by the Client in addition to share in profit as per agreement. Client will maintain all accounts properly and the bank or its agent may verify or audit it. Banks can advice the client or take part in the management of the Business. Musharaka agreement may include a clause to the effect that if any partner violates any rules of Musharaka or any terms & conditions of Musharaka agreement, the other partners will have the right to impose compensation on him/her as determined by the review Committee of the Bank. Hire Purchase is a special type of business transaction which is also traditionally practiced for procurement of goods, mainly, are of fixed nature. Here purchaser purchases the asset from the seller by paying the price gradually or in lump sum after the rent period and pay rent for the asset up until making the full payment. In this type of contract the hiree, here the Bank, has the full ownership of the goods. The ownership is only transferred to the hirer, here the client, after the price of the goods is fully paid to the Bank. That means ownership has to be manually transferred in this type of contract. Up until ownership of the asset is transferred the client has to pay a fixed rental to the Bank according to the schedule specified in the contract. The Bank purchases goods for the client taking an agreed upon margin and a risk weighted fund. The full ownership of the goods stays with the Bank throughout the contract period. The ownership is usually transferred to the client after the rental period. The client has to pay a fixed rental throughout the rental period. As the ownership of the goods is with the bank thus the risk of damage of goods is also with the Bank, if the damage is not due to the negligence of the client. Accounts section deals with the income and expenditure of the branch and stores each and every transaction of the bank. The accounts officers check all the paper works like bills, vouchers, checks and deposit slips every day. They also prepare a supplementary sheet. Supplementary sheet is prepared for bank’s transaction security to avoid any fraud or misguidance. A Senior Principal Officer is designated in New Panthapath Branch as the account officer in-charge of the department. Supplementary sheet consists of three heads such as General, Transaction with client’s income and expenditure. Inward clearing involves clearing Cheques/DD/PO, which come to the STANDARD BANK, Panthapath branch through clearing house for collection. The clearing officer receives then enters them in the inward logbook. Then sends them to the cash department for checking the account condition. If any problem is found with the instrument, it is marked as ‘dishonored’ mentioning the reason as mentioned above and he sends to the clearing officer. The clearing officer removes Cheques/DD from logbook and informs the matter to the Panthapath branch. The cheques, PO, DD of different banks, which are submitted to STANDARD BANK, Panthapath Branch, for collection, are known as out- Ward clearing cheques. The procedure is quite lengthy. Commercial bank in Bangladesh offers the facility of transferring funds, from one place to another place, to their customers as well as to the general public. Such transfer of funds can be affected either through Demand Draft or Telegraphic Transfer or Mail Transfer. The aforesaid methods of remitting money from one place to another within the country are known as Remittance, While, it is for outside Bangladesh the same is called foreign remittance. The advantage of this facility is the quick transfer of money with minimum cost and also the risk of physical transportation of cost is eliminated. Telegraphic Transfer: TT is affected by tile bank through tested telex message by secret check signal, on receipt of which tile paying officer pay the amount to the payee in cash through a telegraphic payment order or credit his account, as the case may be. Both parties must have account in Standard Bank Limited, as money is transferred. This type of instrument is to prepare in four pages of IBDA & / Or IBCA. After clearing by the Bangladesh Bank clearinghouse the checks come to the branch. These checks are posted in check return & payment inward register. All jobs are related to the front deskwork & also the customer service oriented. By giving customer service a friendly & cordial relationship has been grown up with the customer. Prohibitory order or stop payment of cheques. In line with the experience of developing countries imports payments of Bangladesh increased over the years. The imported items were mainly industrial raw materials, consumer goods, fertilizer machinery and old ships of scraping, recondition cars etc. the growth in import business had been previous year showing an increase of 20%. Efficient handling did the significant items of import and concerned efforts for building up of a potential clientele for the bank. a) Party application duly signed and sealed by the opener / authorized signatory. b) At least four copies of pro-forma invoice/ indent duly signed and sealed by the opener and beneficiary / indenter. Opener signature to be verified by the banker. c) L/C application form (to be provided by the bank) duly signed and sealed by the opener / authorized signatory. Guarantor signature required (if applicable/ mentioned in the proposal). The banker must verify the signature. d) LCA / IMP forms duly signed and sealed by the opener / authorized signatory. f) Beneficiary credit report (if the L/C is more than $8000 or BDT 500000 whichever is highest).